A Women’s Health & Fitness Expo was held on Saturday, September 29th, 2012 from 10am-2pm which was extremely successful! There were ‘goody’ bags for the 1st 60 women through the door. There was at least 70 waiting at the door when it opened at 10am!! Amazing!! There was over 49 Vendors/Exhibitors all for WOMEN!! EVERYTHING from Cosmetics, Fitness, Fun, Beauty, Jewellry, Health, Non-Profit Organizations, etc. etc. PEI Chapter in sending a child to camp! ZumbaTomic Class for kids was held for 45 mins. and an adults Zumba Class was held for an hour!! AMAZING Fun and a Great Workout!!!! Reviews were amazing with some saying this was the best Expo they had ever attended!! HERE’S TO NEXT YEAR!!! 2013 HERE WE COME!! Poker Run 2012 was held on Saturday, September 8th, 2012. Object of the Fundraiser was for Motorcyclist Enthusiast would ride to different station picking a card from a deck of playing cards. After all stations were visited, whomever had the Best Hand at Poker was the winner! Great prizes and lots of fun! A huge thank you to all our members who volunteers at the Start, Finish and the station in between. Money was raised to assist the PEI Chapter in its programs and services! The PEI Chapter held a Brunch’n’Learn at the Dundee Arms Inn (Brunch) on August 25, 2012. We had some ‘get to know you’ fun, a presentation by Shelley Mountain, President on CodeRouge as well as CSL Behring on VWD, Carriers and women’s issues. This was well attended by women and girls of our Chapter!! Shelley Mountain attended the CodeRouge conference held in May 2012 in Toronto, ON. Please see the section on CodeRouge on our National website. If you require any assistance from our PEI Chapter Ambassador, please don’t hesitate to contact Shelley! Want to do something fun with your family? Want to give back to a worth-while charity? Thank you to sponsor Bayer Healthcare!! Treats and goodies were handed out and information booths by: CARI Pool (swimming lessons), PEI Arthritis Society, Bayer Healthcare, Canadian Blood Services and PEI Chapter of Canadian Hemophilia Society. The PEI Chapter of Canadian Hemophilia Society recently had their semi-annual meeting where they officially welcomed the new executive members. They also recognized 3 chapter members and awarded them for their years of dedicated service in volunteering on the executive board. The PEI Chapter welcomes new members with an inherited bleeding disorder. Shelley Mountain gave a 5 minute presentation to the panel board in the month of February 2012. 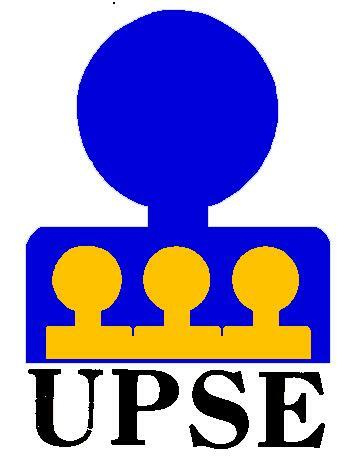 Thank You to UPSE who made a donation of $300 to the PEI Chapter of the Canadian Hemophilia Society. The Union of Public Section Employees in Charlottetown, PEI donated $24,000. this year to non-profit organizations serving the PEI Community. Shelley Mountain gave a 5 minute presentation to the panel board in the month of February 2011. Thank You to UPSE who made a donation of $500 to the PEI Chapter of the Canadian Hemophilia Society. and Dan Doran, Past President recently attended the NACCHO conference held in Tempe, Arizona, US. The theme for the conference was being a Super Hero!! I can truly say we met some great Super Hero role-models! future implementation of our own special family weekend or Family Camp. Stay tuned for future updates!! Our Maritimers Picture at NACCHO!! The 1st Annual 'SWIM FOR A CURE' - A Bleeding Disorder Event!! ‘SWIM FOR A CURE’ – A Bleeding Disorder Event!! This was a FREE SWIM BY DONATION. There were educational booths by the following organizations: PEI Chapter of Canadian Hemophilia Society, CARI Aquatics Facility, Bayer Healthcare, Canadian Blood Services (What’s Your Blood Type), and PEI Arthritis Society. This was an exciting EVENT which raised $1,002. towards assisting the members of the PEI Chapter!! The New Brunswick Chapter held a Bleeding Disorder Camp for kids from August 24 to 29, 2010 and have invited the PEI chapter to attend. Valerie made the comment ‘Are we going again next year, cause I really want to’ meant a great deal to her parents!!! WHAT AN AWESOME TIME!!!! THANK YOU NEW BRUNSWICK CHAPTER. YOU DID A GREAT JOB!!!! Family Place, in partnership with the Parent Support Network, hosted the Biggest Family related Expo on PEI!! Shelley Mountain attended a booth for VWD awareness. Over 700 bandage dispensers were handed out along with lots of information regarding our CHS organization.A newly diagnosed family with VWD was welcomed to the booth and information was provided to them. They have been in contact with Shelley Mountain, vice-president of the PEI Chapter regarding further details of the disease and personal experiences. This family now has the ability to reach for support and feel a little less anxious knowing there is a whole world out there of people with this disease. A fantastic fun filled afternoon included: Information & Display booths, Educational activities, Princess/Pirate dress up, Mother Goose reading corner, Face painting, Cookie decorating, Crafts for all ages, Toddler world play centre, Bunny Trails petting zoo, Child-size miniature golf, Music Man, Magic shows, UFIT Fitness, Contests, DOOR PRIZES & FREEBIES!!!! This was indeed an AWESOME EVENT!! We have reached others with VWD, provided support, information, and guidance. THIS WAS TRULY A SUCCESS!!! at the Green Valley Market in Milton, PEI. speech just prior to the race beginning. 1st Male and 1st Female Walkers. As you can see, the excitement of youth for this challenge was awesome! Smiles were plentiful!! 🙂 even on a cloudy day. (Richard Blaquiere and his wife). HERE’S TO 2011 ‘RUN FOR IT’ !!!!!!!! for World Hemophilia Day across PEI!!! On April 17th, 2010 our PEI Chapter kicked off two Red White & You events at local schools where the children in our Chapter attend. Children of these schools learned about Hemophilia & Inherited Bleeding disorders as well as what makes us ‘UNIQUE’!!! Education materials (stickers, bookmarks, pamphlets, bandage dispensers, along with stickers from Canadian Blood Services ‘Future Donor’) and treats were given out to bring home. WHAT A WONDERFUL TIME for our YOUTH to learn about The Canadian Hemophilia Society and World Hemophilia Day!!! (pictured here is Valerie Mountain, daughter of Shelley Mountain, member of PEI Chapter and Valerie’s teacher Mme. Chrissy Knight. Her class made posters with ‘Je suis Unique’. Each child drew themselves and decorated their pictures. These posters were then hung in the lobby for the whole school to see how each of us are UNIQUE!!). Shelley Mountain did a presentation to the semi-annual meeting of board and volunteers of the PEI Senior Safety Program. RCMP was also in attendance. ‘Vial of Life’ was introduced to PEI in mid-1990’s and growing rapidly. This free program which was designed for our aging population has also assisted families with serious medical conditions as well as mentally and/or physically challenged people of all ages. The ‘Vial’ is a plastic bottle containing a sheet with all the patient’s medical information & emergency contacts. It is then placed in the person’s fridge with a sticker placed on fridge door. Firefighters (PEI Fire Marshal’s office has endorsed this product and firefighters have been taught the ‘Vial of Life’ ) know that this person has all pertinent information. Information in ‘Vial’ is reviewed every 6 months by volunteers; it is up to end-used to ensure he/she keeps information up to date. Program sponsored by Credit Unions of PEI which is run primarily on volunteers and is free of charge to all Islanders. Shelley gave an emotional speech about VWD and Hemophilia along with her life story. She concluded with a message about how special volunteers are even to help just one person. We are all working towards the common good! at the Summerside Waterfront Mall. Carnations and balloons were handed out to everyone. This was an excellent way of reaching out to women and their daughters. There were many many stares and curious questions! This was indeed a great success!! Shelley Mountain attended the booth with educational materials and handouts along with pictures of some of our families in our PEI Chapter!! Over 200 Bandage dispensers were dispersed to the crowd. A few stopped to mention they knew someone who had a bleeding disorder and a couple asked for information to pass along to someone who needed resources!! ‘If only to help one person, would be worth it’ believes Shelley Mountain and her daughter Valerie pictured above. The Prince Edward Island Union of Public Sector Employees distributed a significant amount of money to various local community and non-profit groups as part of its “UPSE Has a Heart’ campaign. Shelley Mountain gave a 5 minute presentation to the panel board in the month of February 2010. A big Thank You to UPSE for your generous donation on behalf of the PEI Chapter. This will aid in supporting our members in our Chapter. This is an incredible story…. The PEI Chapter held a very successf ul Commemoration of tainted blood victims on October 26, 2009 on the grounds of the PEI Legislative Assembly. It was well attended with various municipal, provincial and federal governments as well as officials from Canadian Blood Services and the bleeding disorder community at large. We are planning another recognition ceremony for this October 2010 and will try to make this an annual event. Dan Doran from the PEI Chapter will be working with NS & NB Chapters to plan their commemoration ceremonies this year as well. The PEI Chapter has partnered with Canadian Blood Services’ program ‘Partners For Life’. Our Chapter also has the ability to save lives!! The challenge is out there to have your friends and family donate blood on behalf of our Chapter and we will soon reach our goal !!!! UPDATE: As of January 1, 2011, the PEI Chapter of The Canadian Hemophilia Society has achieved it’s goal of 11 Units for 2010!! That’s 100%!! in someone’s life and made a donation! !